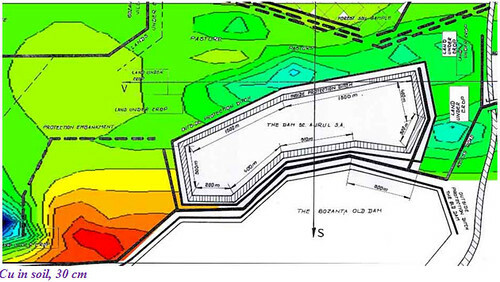 This section is divided into the following subsection. Feel free to click on the links to proceed to each subsection. 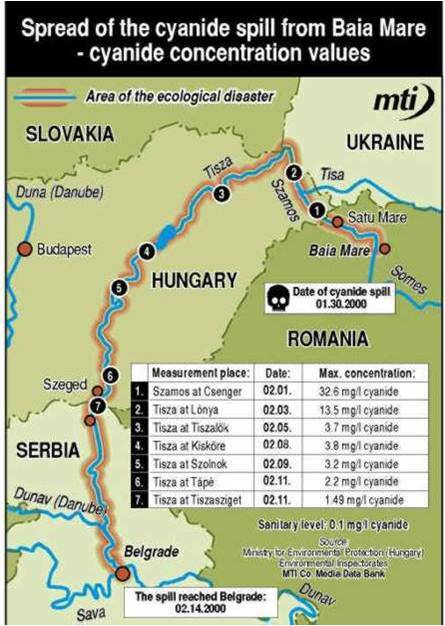 The cyanide spill caused immediate contamination of the Tisza River, affecting drinking water and causing major concerns for human and animal health. 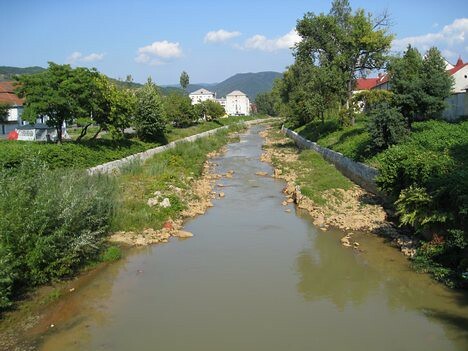 Since cyanide is completely soluble in water and has a short half-life in solution, it was swiftly washed away through the river system and therefore did not present a long-term environmental impact. 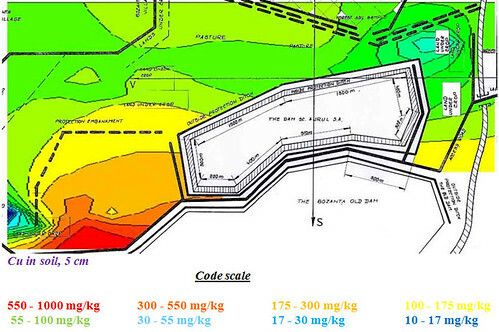 The heavy metals in the mine tailings caused massive heavy metal pollution in the Tisza River and raised concerns regarding the immediate and longer term impacts on the aquatic environment and, ultimately, fish consumption by the population. The experts noted that chronic contamination by the heavy metals would need to be monitored and that potential long-term effects on biodiversity would require further investigation. 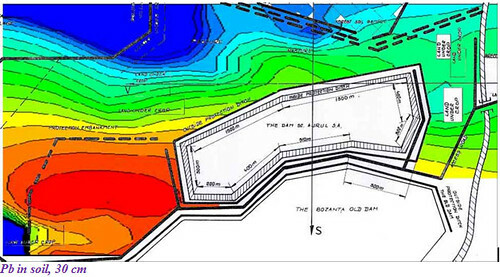 They also noted that the spill had occurred in an area already contaminated with heavy metals and other pollutants from a long history of mining and metal processing in the area. 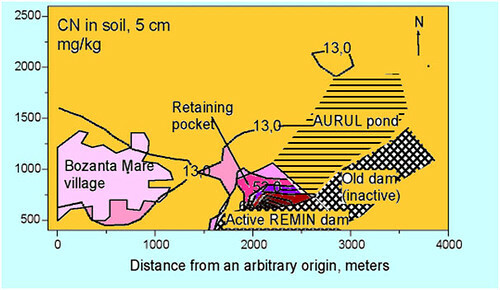 The following map displays the sampling sites of the water and sediment analysis along the Tisza River in Romania. The results are discussed in the sections below. 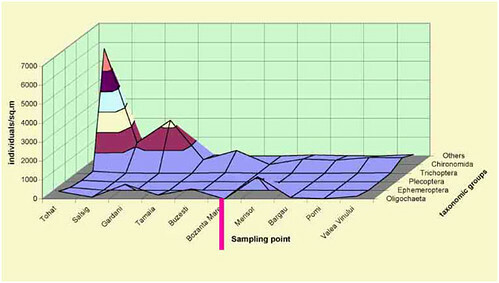 The heavy metals contents in the Somes river shows that the peak concentrations of the various heavy metals. 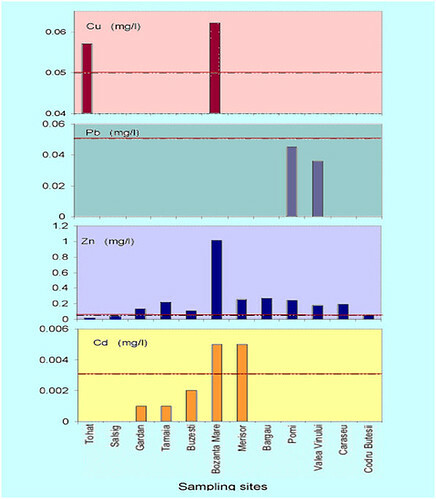 According to the 1998 EU standards, the content of Zn, Pb, Cu and Cd exceeded the limits, mostly related with the Aurul accident, two days after the accident. At the same river sites where water was sampled, sediment samples were taken from spots providing fine sediments, one month after the accident at Aurul Company. 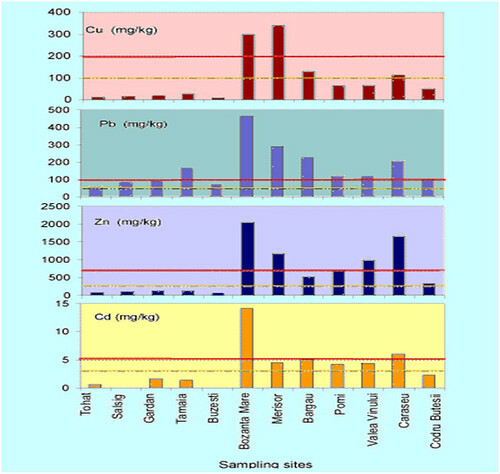 The background data for sediment composition were not available, so analyses for heavy metal contents in sediment were not performed. 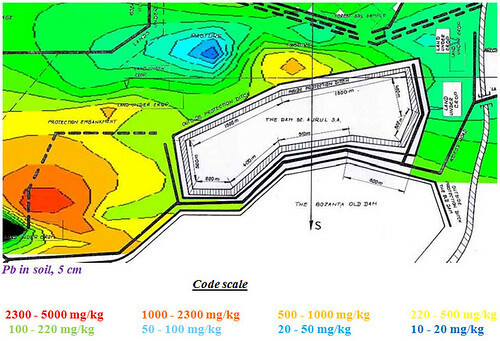 The heavy metal contents in the soil samples were high in both the area affected by the accident and in the reference samples, confirming the presence of high background contamination in the Baia Mare area and in the neighborhood of the Aurul dam. However the accident cannot be found responsible for this contamination. 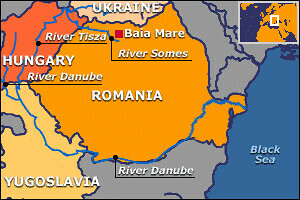 During the spill, the Romanian authorities investigated the ecosystem. 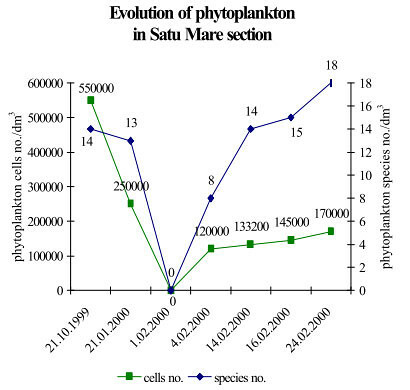 The results indicated a total loss of the phyto- and zooplankton communities in the Somes river during the plume. Fortunately, recovery was relatively quick due to the inflow of unaffected water from upstream. 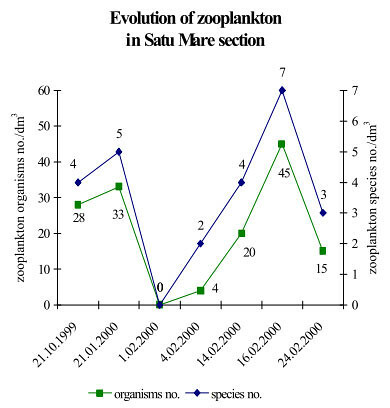 Hungarian authorities provided data on the phyto- and zooplankton communities in the river Tisza water during the cyanide plume. The effect of the plume on the communities was similar to that reported by the Romanian authorities. At the time of the plume, the number of species and specimens in the water samples, if any, was very low, but recovery was quick (within a few days) due to the cleaner water from the upstream river and tributaries.